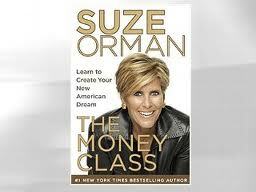 Suze Orman and I Both Say Alter Your Expectations! New Comments Added! For the past year and a half my co-author/business partner/husband Rick Miners and I have been researching people's attitudes about the future. We were simultaneously tracking what we call Life's BIG Game Changers... fluctuating financial portfolios, joblessness, sandwich and generational issues not to mention health care, social security, and longevity challenges. We came to the conclusion that we should expect to live longer and probably with less money! And now as you read this we are imagining that you are letting out a collective OUCH! Since we have been sharing this message with audiences across the country for the past year we have heard that gasp many times! With increased life expectancy (three million Boomers are expected to reach 100)and walloped financial portfolios we have been telling everyone that they need to rewire their thoughts AND actions about the future. We know that no one, especially Americans, want to believe that they might have to alter their expectations in any way. We have come to expect certain things at work, at play, in our lives overall. And let's face it, change goes down hard. So as we were working on our book proposal, Suze Orman comes out with her new book,The Money Class,and everything we believe is right inside those paper or electronic pages! Suze is a no holds barred expert and she is out to help people create or re-imagine a new American Dream! I only wish we could have gotten her to recognize that our Rewiring process is THE WAY for people to jumpstart the process! So after getting over the feeling of being scooped, we said,"we were on the right track, Suze just got there first!" And the great thing is, is that the message is getting out! 1.) you HAVE to be honest with yourself--it's now or never! 2.) it takes GUTS to do that but you won't get anywhere good if you don't! 3.) you need to create a New Dream based on reality, not fantasy! 4.) big and having more are NOT better---hence the mess we are in today! 5.) you WILL have to alter your expectations--even live below your means! Suze knows the financials...whereas I know the qualitative part of life. If people knew their drivers, as defined in DON'T RETIRE, REWIRE! they would have a good sense of self, and of what makes then tick. Basically they would have a leg up as they set out to redefine their American Dream. We highly recommend this book, as well as viewing Suze's Money Class on PBS.